Gustaf's SALTY Tire Track Licorice is here! These are a salty version of the classic Tire Tracks licorice. 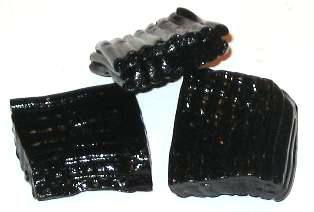 They are wonderfully soft and chewy, with a delicious pure licorice flavor.